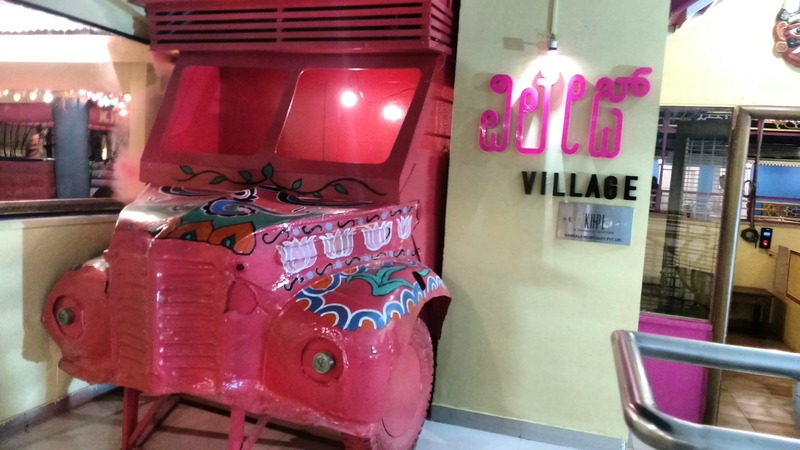 Village (The Soul of India) is located on the 6th floor of Bangalore Central Mall: They recently renovated, and the new avatar has various small home designs in a unique way with huge space to enjoy and roam around. They have different sitting arrangements as well. It’s a nice place for family gathering along with kids' play section as well as some small shops for toys, tattoos, balloons etc. Food: They serve North Indian, South Indian, Gujarati, Rajasthani, and many more along with a buffet system, so you will have a large variety to choose from. They also have live counters so you can choose the items as per your choice. They start their buffet with a welcome drink, then there are starters, live counters, main course, and desserts as well. Staff and Service: There is self-service, so one has to go to the counter to collect their food. The staff is friendly and well-mannered. Overall, it's a good place for family gatherings.